Our caravan has a wheel-in shower and is the larger Pemberton caravan. 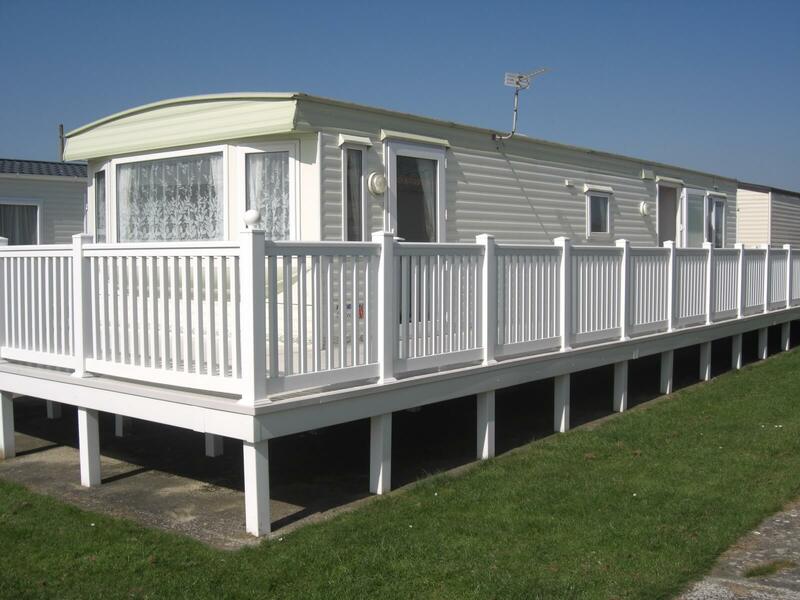 This Park is on a cliff top overlooking the Solent across to the Isle of Wight and access to the beach is by a stepped path at the edge of the Holiday Village. The site is flat with a car park at the rear of our caravan. The caravan with veranda overlooks a grassed area. There is an excellent indoor heated swimming pool (including a hoist for a disabled person) and children’s adventure playground. From mid-May to mid-September the heated outdoor swimming pool is open. There is a licensed club and family lounge with some entertainment. There is a satellite TV in the club. For food there is a pub-style family restaurant, snack bar and takeaway. There is also a self-service shop, newsagent, off-licence and laundrette. Activities wise there is an amusement arcade, adventure playground, nature trail, mini 10-pin bowling alley, mini football/basketball court, toddlers’ play area and crazy golf course. For some of these activities, there will be a charge which applies. Direct beach access is by steps which are not wheelchair accessible.